Sandy has been active in Jewish life for over 50 years. She was involved in many organizations in various capacities in Youngstown, Ohio prior to her family’s relocation to Tampa three years ago. 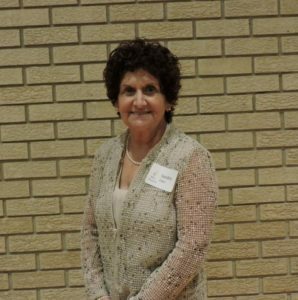 She served as President of the local and district Hadassah chapter, was a board member of the Jewish Community Center, Jewish society, serving as Chairman of the Relay for Life and Co-chair of the American Cancer Center Cattle Barron’s Ball. At the age of 60, Sandy became a Bat Mitzvah and within her synagogue, El Emeth Temple, served as President from 2012-2014 and Funds Vice President of the Sisterhood. After moving to Tampa, she immediately assumed the position of Ritual Co-chair alongside her husband Sam. She organizes religious activities with grace and charm and is an asset to the Sisterhood and synagogue. Sandra and her husband have four children and six grandchildren.